When we design a home we’re looking for ways to use light to create a sense of space, a connection with the natural world and a series of views that change during the passage from day to night. You’ll notice that our homes often have light coming from at Least two sides of a room. 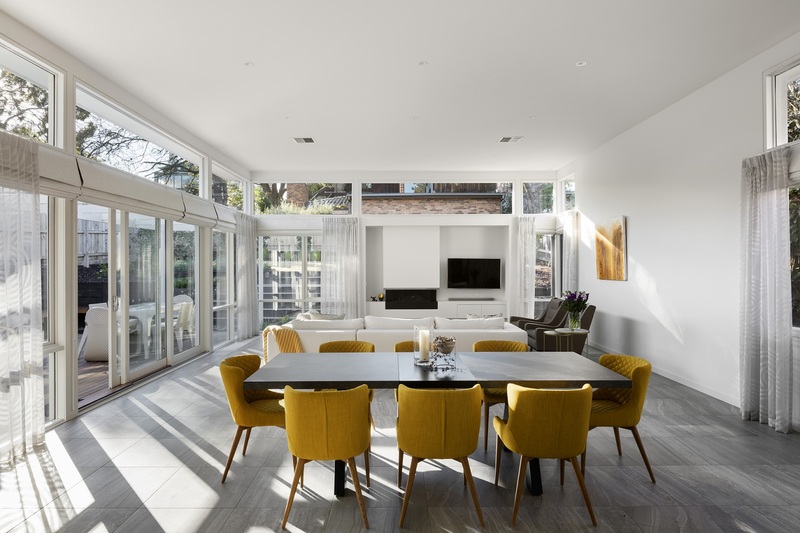 Whether it’s morning light in the bedrooms or in the kitchen area or it’s afternoon light into the living areas, like family rooms or barbeque areas for outside entertaining, our challenge is to ﬁnd the best opportunities for natural light levels to add to the experience of being in that space. Controlling light allows us to maximise the feel and openness of a space. For example, Fasham are known for our use of pergolas. Some people wonder why we’ve kept our pergola design relatively stable over time, when there have been so many variations and trends for outdoor ﬁxtures over the years. What we’ve learned is that pergola battens give you shade patterns not unlike dappled light that comes from tree canopies. Pergola posts and their changing shadows through the day can give you a sense of natural tree trunks. Our highlight, pop-up and clerestory roof designs and windows make great tools for capturing light throughout the day in rooms that might otherwise not have great direct views to the outside. Many a client has commented on their delight to ﬁnd that they can watch the moon in the night sky from their bed. It’s these surprising, delightful, ever-changing details that allow us to connect you with the natural world. To hear more from the designers behind Fasham and their ideas on creatively using light in your home, watch the video below. Website delivered by Treehouse Creative and WP Ninjas.